WASHINGTON (PNS)— Angela Nichols of Columbia, Maryland stood in the sanctuary of New York Avenue Presbyterian Church shortly before dinnertime Friday and marveled at the amount of information she had received. 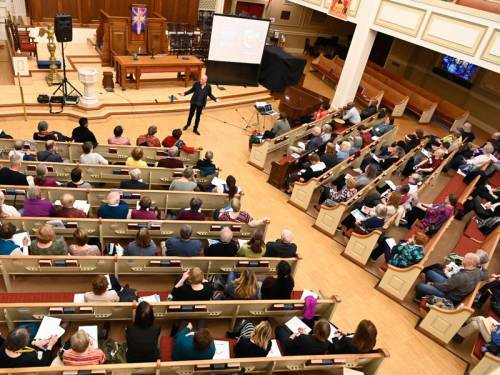 Nichols had just completed her first Compassion, Peace & Justice Training Day, which aims to give people in the church the tools to tackle some of the major problems facing the world, including immigration, racism and global warming. 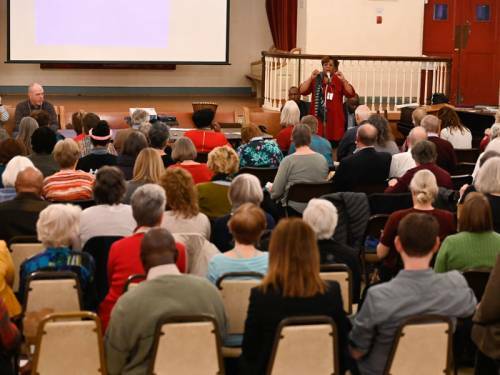 Presented by the Presbyterian Church (U.S.A.) Office of Public Witness in Washington, it was a day of workshops, keynotes, meeting and networking that is a prelude to Ecumenical Advocacy Days Saturday through Monday in nearby Arlington, Virginia. Another first-timer was Presbyterian Mission Agency President and Executive Director the Rev. Dr. Diane Moffett, who was named to the post a month after last year’s CPJ Day. “I was asking, how can we get more people to hear this, to be inspired by it, to connect the dots, because I think it was very inspirational and also educational,” Moffett said. “There’s always something to learn and be inspired by, especially as relates to Matthew 25. 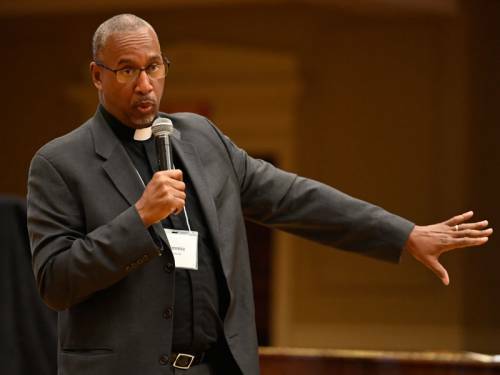 At lunchtime, Moffett gave a brief pitch for the Presbyterian Church (U.S.A.)’s newly launched invitation for congregations to become Matthew 25 churches, building congregational vitality, dismantling structural racism and eradicating systemic poverty. “This is not about a hero narrative but a movement narrative,” Moffett said, picking up on the theme of the day: building movements. Speaker, musician, author and activist David LaMotte set the stage for the day with a keynote address laying out the theory that movements are really the way things get done. One of his primary examples was Rosa Parks and the Montgomery Bus Boycott of 1955 and ’56, pointing out that Parks’ refusal to move from her seat on a city bus was simply part of a movement and plan that had been put together over time. One of the most important moments in that movement, he said, was activist Jo Ann Robinson leading an effort to crank out 17,500 fliers overnight to get the boycott started the day after Parks was arrested. Lunchtime speaker Samantha Paige Davis, field engagement manager for the YWCA, continued the movement theme with five thought-provoking suggestions for building movements, with strong points related to race and privilege. 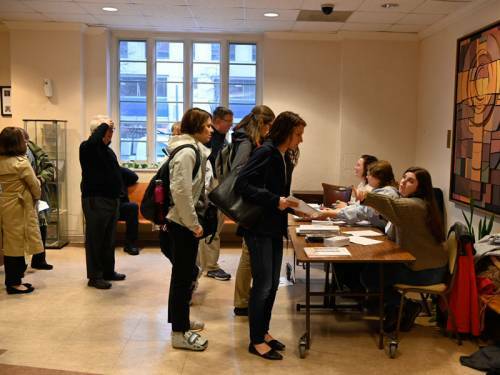 The 221 people registered for the eighth annual CPJ Day heard from a variety of workshop presenters on topics including morality and public policy, movement building in nature, immigration and the Poor People’s Campaign. Office of Public Witness director the Rev. Jimmie Hawkins said he was happy with what has become an annual event for his office.